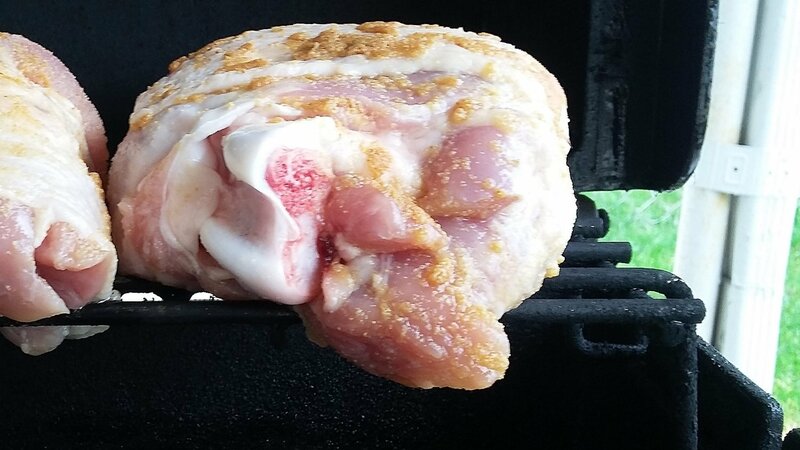 If you have a large appetite and a small budget you need to learn how to grill turkey thighs. They are an inexpensive and completely different grilling option. They are fairly large at about a pound a thigh and very versatile. 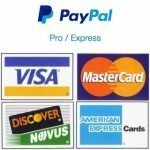 In this how to, we will be grilling garlic parmesan turkey thighs using only a few simple ingredients you probably have lying around the house, and an indirect grilling technique. 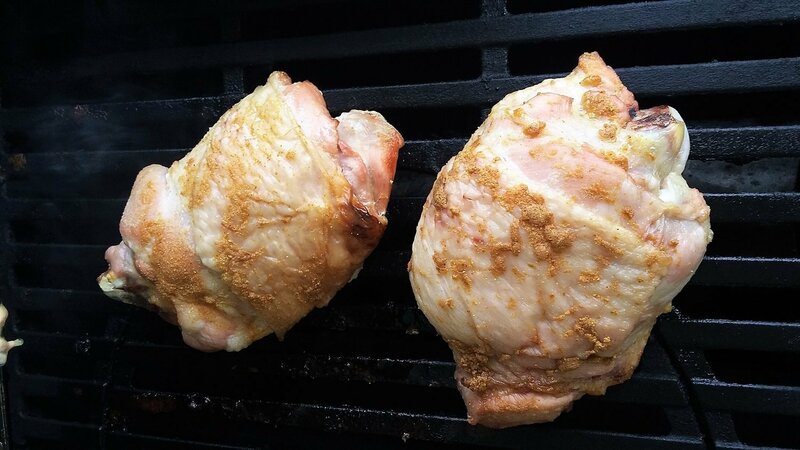 You can find turkey thighs for around $2 a pound at your local grocery store. At around a pound a piece each thigh can be one large portion. 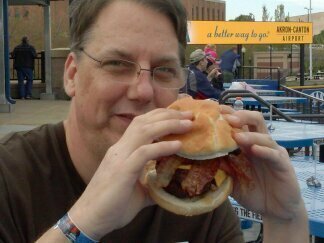 With just a single bone running down the center they are also easily cut into two smaller portions. The prep is 2 parts and only takes a few minutes. Our first step is injecting: We are going to inject the thigh with garlic powder. Take one teaspoon of McCormicks Fine Garlic Powder add 2 ounces of beer the carbonation of the beer will foam after the bubbling has stopped stir to mix. We prefer to use fine garlic powder so it will break down quicker. Beer can be substituted for olive oil if you prefer. Add this mix to your injector and insert the injector once on either side of the bone. 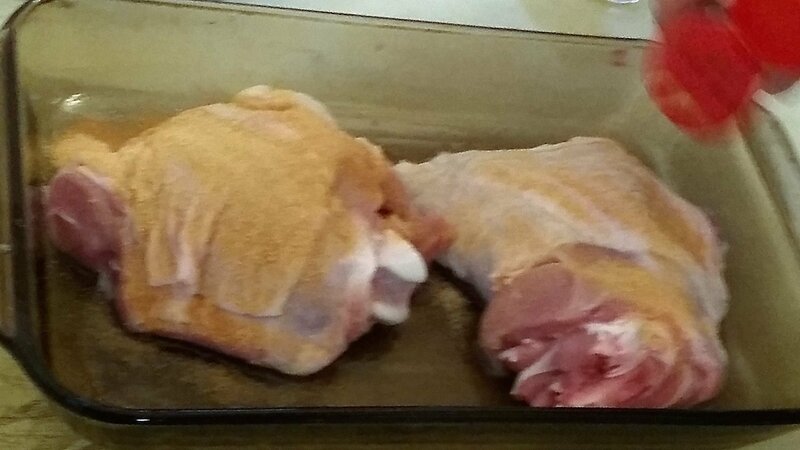 Next lay the thigh flat onto a plate pat the skin dry with a paper towel and add a heavy coating of the same garlic powder used to inject. This will give you a very strong garlic flavor so if you like you can go with a lighter dusting but if your making this you probably like garlic so go heavy. 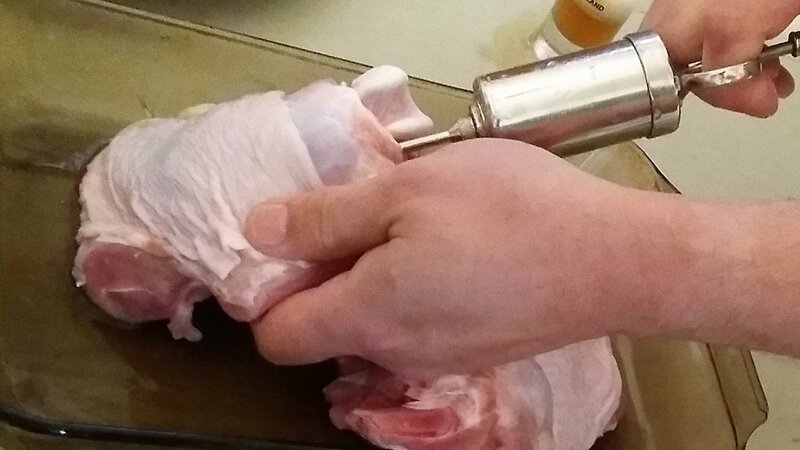 Before placing your turkey thighs onto the grill, tuck the flatter sides under the bone to make them almost round as shown in the picture above. This step will ensure even cooking. Once they have begun the cooking process they should maintain this shape. Set your grill up for indirect high heat. You are looking for a temperature above 400 degrees on your hood thermometer. We are using indirect heat because it seems to allow the flavors to penetrate the meat a little more and the skin can render its fat without fear of flare ups. The high heat will produce a nice crispy skin. Place the turkey thighs onto the grill, off the heat, but close to the heat source. 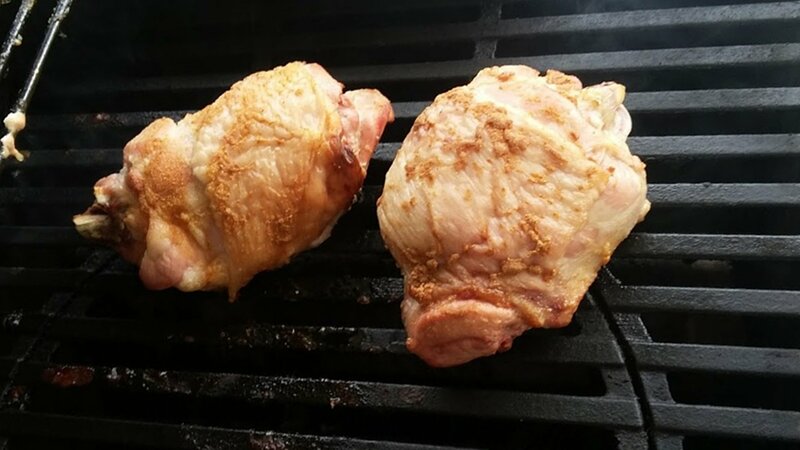 If you are grilling multiple thighs and they all can’t be next to the heat rotate the position after about 15 minutes. Check the internal temperature of the turkey after 30 minutes. If your above 130 degrees continue to the next step if not allow to continue to cook checking the temp every 10 minutes or so. Once you have reached the 130 internal temp coat the skin with butter. To do this simply cut a chunk off of a stick of butter, stick a fork in the center and brush the butter over the skin. The butter will allow the Parmesan cheese to stick and get you a crisper skin. 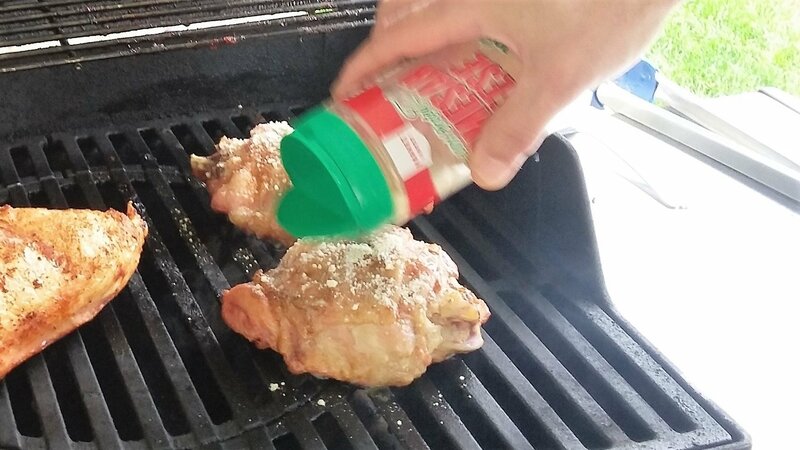 Shake the Parmesan cheese directly onto the thighs very liberally. Allow to cook until the turkey reaches an internal temp of 180 (thigh-dark meat should be cooked to 180 not 165 degrees). The skin should be brown, crisp and the cheese will be browned as well. The end product will have a very crispy skin and a very strong garlic flavor. The thigh meat is juicy and tender and is overall fantastic! 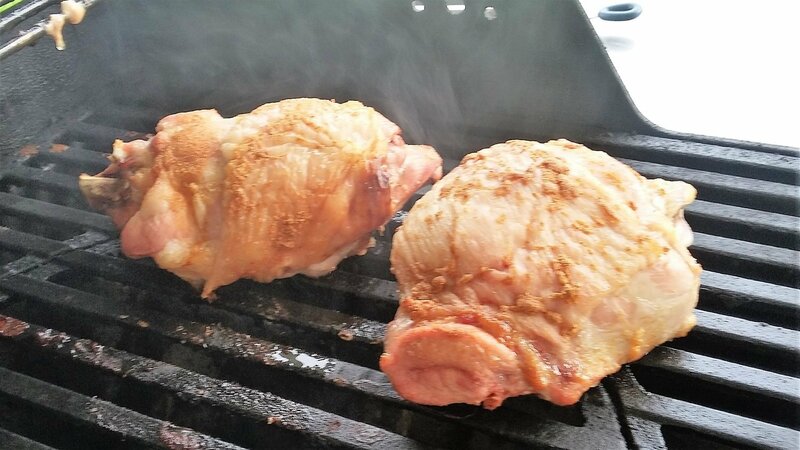 That is all there is to grill turkey thighs. You can grill turkey thighs with just about any flavor combination you would like. They take flavors very well. This would be great to grill on your rotisserie if you have a flat basket.